Dental implants offer a comfortable, permanent answer to people missing one or more natural teeth. Often a superior alternative to conventional dentures or bridges, implants allow you to speak, eat, and smile with complete comfort and confidence. With newer technology, implants are now smaller and much easier to place. Most of our patients have little or no discomfort. They can dramatically change how you feel about your smile for the rest of your life. 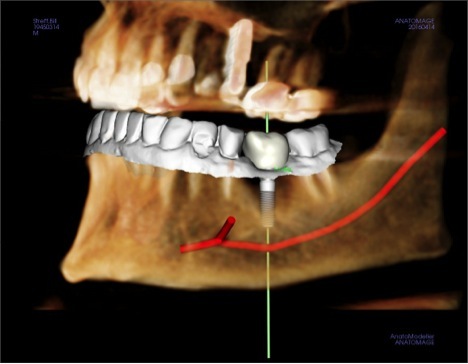 We take implant placement to the next level with our i-CAT CBCT machine. When planning the surgery we are able to digitally place our implants in a computer setting allowing us to optimize integration and aesthetics of both the implants and the final crowns. We then use this file to make a surgical guide allowing us to place the implant in the exact planned place. This often allows us to place implants without incisions or exposing bone, leading to quicker and more comfortable healing.